Apparatus weighing up to 3’500 kg is manufactured in our in-house workshop. Larger apparatus is built under our supervision by a partner firm located close by. We work with steel, austenite, Duplex, Hastelloy, Inconel, titanium and nickel. Static mixers made from PP, PE, PVC, PVDF or PTFE can likewise be supplied. Since investing in a modern laser welding line, we are also optimally equipped to serve you with apparatus with virtually any dimensions. Our vertical range of production is exceptionally broad. The laser welding line allows us to create miniaturised, reproducible welds that would be impossible manually. 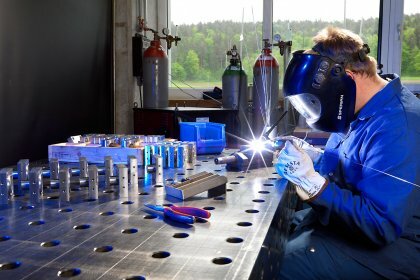 Orbital or automated TIG welding systems are available for large sizes. All apparatus and equipment are modelled on a modern 3D CAD system. The models can be used directly for strength calculations based on the finite element method (FEM), which are also offered by us as a service. 3D models can be provided to our customers on request. In addition to continuously striving to perfect our mixing, heat transfer and reaction apparatus, we also conduct experiments in the Fluitec laboratory and carry out development work on behalf of our customers. We normally use reference fluids for this purpose to guarantee comparable results. 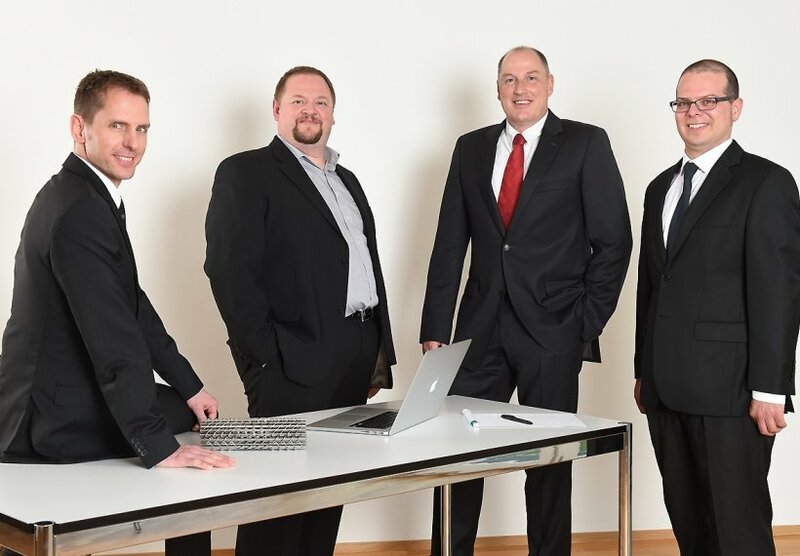 Fluitec was founded by Alain Georg as a sole proprietorship in 1993; a new static mixer geometry – the CSE – was launched in the market just one year later. 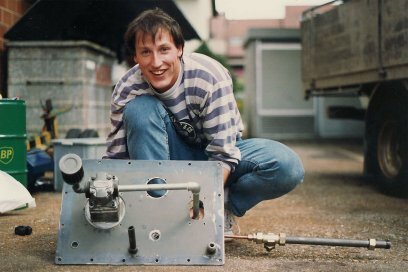 Georg’s innovative static mixer won him a young entrepreneur award: the prize money paid the rent for a workshop and production facility in Winterthur and also enabled him to take on his first staff and turn Fluitec into a public limited company. During the next few years, Fluitec gained a foothold in various branches of industry with the development of several new mixer geometries, liquid gasification solutions and advances in the area of DeNOx systems. The Fluitec mixer / heat exchanger was invented in 2000, marking the company’s entry into the mixing and reaction technology segment. From there, it was only a small step to first complete and successfully commissioned in-line reaction system based on the Fluitec mixer / heat exchanger. By 2002, the original building had become too cramped and so the firm relocated to Neftenbach. Parallel to numerous smaller projects, Fluitec’s engineers and technicians spent much of their time researching into scalable CSE-X reactors. Fluitec continued to grow steadily and within seven years was bursting at the seams; the move into new premises with a large workshop and experimental laboratory in 2009 was a logical decision. The company had barely settled in when the new Fluitec Contiplant system revolutionised reaction technology. Through ongoing research and development work, Fluitec is constantly striving to design new solutions tailored to users’ practical needs. These activities take place concurrently with the development of theoretical calculation methods and Fluitec’s leadership role when it comes to static mixer design is widely acknowledged. Over the last few years, Fluitec has intensified its efforts to optimise mixer structures, achieve new breakthroughs in mixer / heat exchanger technology and, in particular, build novel solutions for in-line reactions. Fluitec currently employs 28 staff. At the moment all positions are occupied.